During British Pie Week I enjoyed a couple of great Melton Mowbray pork pies as part of my pie for every meal challenge. It wasn't until after the event that I realised they were both made by Walker & Son. One was made for Dickinson & Morris and has previously been reviewed. The other was made for Sainsburys. 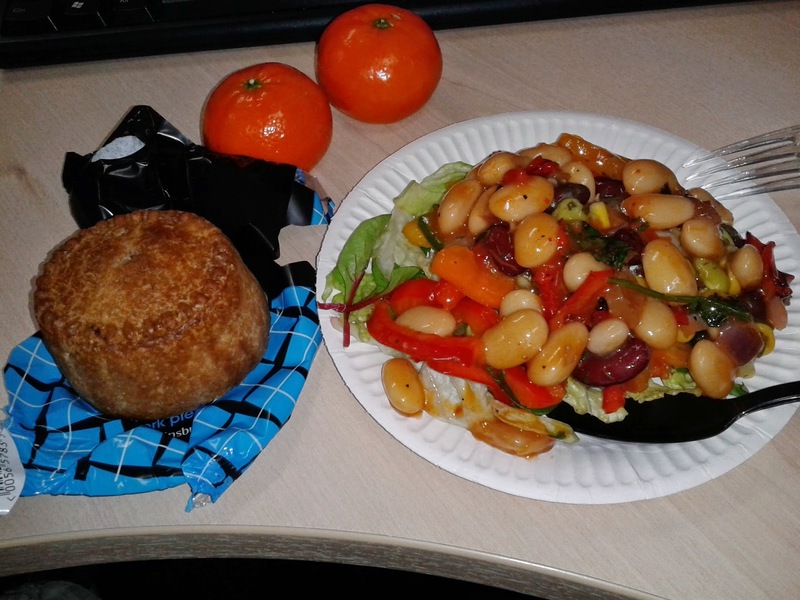 The Sainsburys Melton Mowbray Pork Pie was eaten for lunch on Day Two of the challenge. See the video below for my thoughts. You can see that I was fairly impressed by this effort. It was clearly different to the Dickinson & Morris version, despite being made by the same company. Eating both pies in quick succession meant I was quite certain that the Sainsburys version was inferior to the Dickinson & Morris. But the Sainsburys version was still very good but at only 10p cheaper I wouldn't choose this over the Dickinson & Morris. The one plus side is that it had slightly less calories than the D&M at 502 kcal compared to 542 kcal, but still not exactly a diet option! You might wonder how Melton Mowbray can Make so many pork pies, this is because they don't actually have to be made in Melton Mowbray but a large area around the town. See our article 'What is a Melton Mowbray Pork Pie' for more info. Condition - 5.2 out of 7 - Looked good, but slightly less wholesome than the D&M. Still a classic Melton Mowbray appearance. Colour - 4.9 out of 7 - A deep brown colour, but I prefer deeper. Cheapness - 4.0 out of 7 - At £1.20 for an individual 140g Melton Mowbray pie this was decent value. Capacity - 4.8 out of 7 - Stands tall amongst pork pies of this size and so had a good pastry to filling ratio. A small amount of air gap around the edge. Chewiness - 4.5 out of 7 - There were some small fatty pieces. The pastry was nice and crunchy as a Melton Mowbray should be. Content - 5.4 out of 7 - Strangely for a Melton Mowbray the meat was slightly pink on the outside (it should be grey). However it tasted nice and had enough seasoning, but I would have liked more. There was some jelly apparent around the edge. It was less granula than the Dickinson & Morris. Consistency - 4.5 out of 7 - The filling was not as consistently good as the pastry.